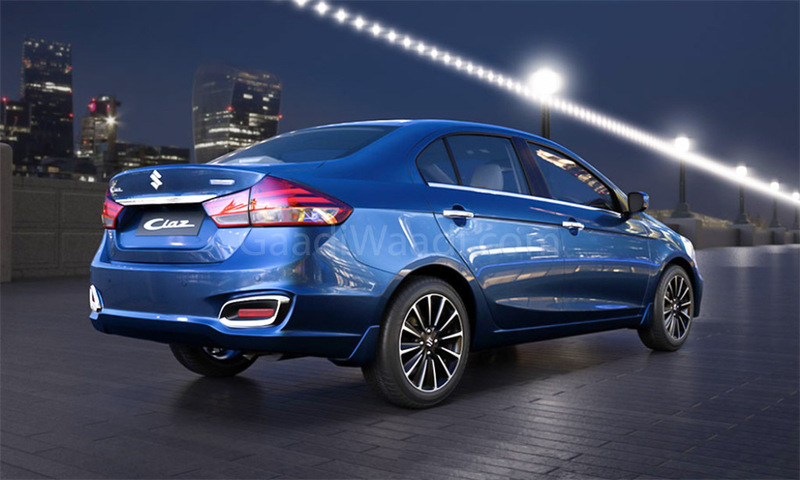 Maruti Suzuki is offering the 2018 Ciaz with high discount rates to clear out the stocks and we have got some luring information regarding the bonuses and cash benefits being provided by the dealers. The petrol manual and diesel version of the midsize sedan get cash discount of Rs. 60,000 each while the exchange bonus stands at Rs. 25,000. With Ciaz automatic only being sold in the petrol version, it gets Rs. 40,000 cash discount and Rs. 25,000 exchange bonus. 2019 MY Ciaz manual in Sigma, Delta and Zeta variants come with Rs. 10,000 cash discount and Rs. 25,000 exchange bonus as well while the four-speed AT in 2019 petrol Ciaz retails with Rs. 25,000 exchange bonus. It is important to note that no discounts are provided in the Alpha manual variant. 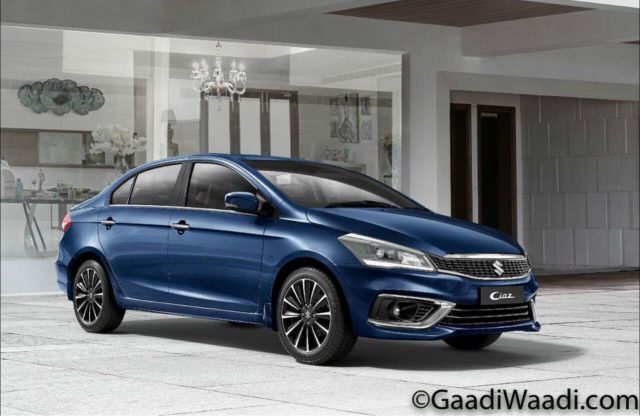 Maruti Suzuki launched the facelifted version of the Ciaz back in August 2018 with prices between Rs. 8.19 lakh for the base Sigma petrol and Rs. 10.97 lakh (ex-showroom) for the top-end Alpha trim. Ditching the old 1.4-litre petrol engine, a newly developed 1.5-litre, K15B, four-cylinder unit with SHVS technology was introduced. It produces 104.7 PS at 6,000 rpm and 138 Nm of peak torque delivered at 4,400 rpm, and is connected to either a five-speed manual transmission or a four-speed automatic. While the 1.3-litre DDiS 200 mill continues with 90 PS at 4,000 rpm and 200 Nm at 1,750 rpm. It will be replaced by an all-new 1.5-litre DDiS 225 diesel powertrain soon. The four-cylinder motor does not come equipped with SHVS technology though as it pumps out more power and torque than the outgoing engine – 95 PS power at 4,000 rpm and 225 Nm of peak torque delivered at 1,500-2,500 rpm. It will be mated to a six-speed transmission with claimed fuel economy of 26.82 kmpl. The new engine will address the shortcomings of Ciaz in the performance department against 1.5-litre i-DTEC diesel engine in Honda City and 1.6-litre U2 CRDi diesel in Hyundai Verna. Maruti Suzuki sold 50,759 units of the Ciaz in India last year with YoY sales drop of 18 per cent.